North of the city of Sydney we are blessed with a beautiful coastline which stretches from Manly to Palm Beach. The peninsula has the Pacific Ocean on one side and Pittwater on the other making it a haven for all water sports. The coastline boasts amazing beaches suitable for board riders, body surfers and those who just want to chill out. 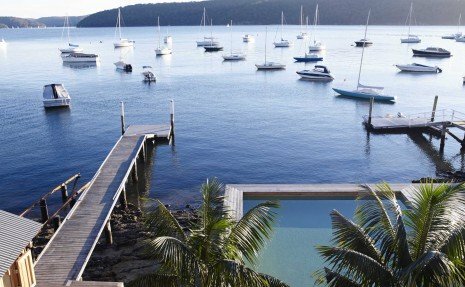 On the Pittwater side it is a yachters dream – but also caters for those who prefer to paddle about and of course you can always find the perfect spot to cast a line. 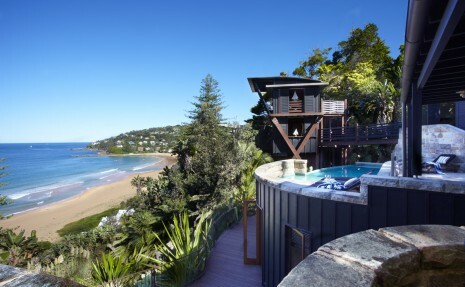 Making the Northern Beaches your holiday destination is a great choice. The lifestyle is a little more laid back than the city beaches, however the views are spectacular, and the Ku-ring-gai Chase National Park with its walking tracks through pockets of rainforest with creeks, waterfalls, Aboriginal rock art and campsites makes it a very special piece of Sydney. 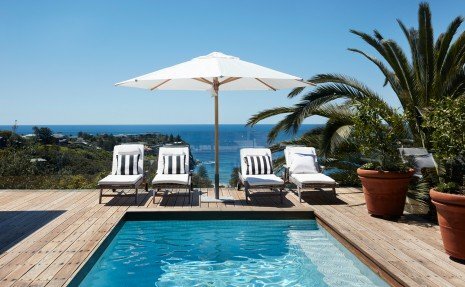 Luxe Houses have a spectacular selection of luxury holiday rentals, which cater for the most discerning holiday maker and activities are not restricted to the great outdoors – oh except for alfresco dining! The Northern Beaches boast an array of wonderful restaurants, boutique shops and gourmet outlets. From Palm Beach you can catch a ferry to the Central Coast or a seaplane to experience for yourself the panorama of the city of Sydney and beyond – or to an out of the way restaurant on the Hawkesbury River. The activities for the kids is all about fun – spend a day in Manly, visit the Aquarium and then jump of a Ferry to the Zoo or into the city. 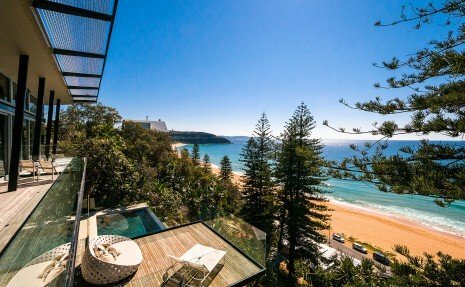 Other Beaches located in the North of Sydney include Whale Beach, Avalon Beach, Bilgola Beach, Newport Beach, Bungan Beach, Mona Vale Beach, Warriewood Beach, Turimetta Beach, Narrabeen Beach, Collaroy Beach, Dee Why Beach, Curl Curl Beach, and Freshwater Beach - all with their own charms. Manly – Catch the Manly Ferry or jetcat from Circular Quay in the city. Arriving at Manly Pier you have an array of very good restaurants. Enjoy a pizza and a glass of wine over the water. And there is Manly Beach just a short walk away – beautiful beach and great surf. Rollerblading is also popular along the waterfront. as BBQ facilities and picnic tables. Newport – Great surfing beach and there is also a large ocean lap pool. The shopping precinct is very cosmopolitan and the village has a great vibe. On the Pittwater side there a marinas including the Royal Motor Yacht Club and the Royal Prince Alfred Yacht Club. Bilgola Beach -Tucked below Bilgola Bends, Bilgola Beach is about 500m long. Fringed by palm trees it can be very tranquil on an early weekday morning. Has surf club and rock pool, good for families. Collaroy Beach is easy to get to, popular and the longest beach on the Sydney north shore, adjoining Narrabeen Beach. Has ocean pool and a Surf Club. While there, surfers and others may wish to check out the Surf Rock Hotel, with its excellent collection of surf memorabilia. The beach is near Collaroy shops for various eateries and the Collaroy Cinema. Close to Long Reef Golf Course and the Narrabeen Lakes, for sailing and canoeing. Named after a shipwreck with the name ‘Collaroy’. Palm Beach surf club is situated about half way up the beach further north. Barrenjoey Head is surrounded by an Aquatic Reserve while Barrenjoey Head is part of the Ku-Ring-Gai Chase National Park. The Northern Beaches have great atmosphere and is oh so stylish. A place to sit back, relax and enjoy!